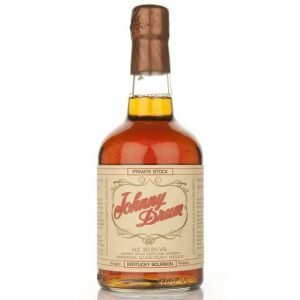 The Johnny Drum Private Stock is a Kentucky bourbon, produced by KBD (Kentucky Bourbon Distillers) at their Willett Distillery in Bardstown, Kentucky. A bottle will set you back around GBP 48. Nose: Corn sweetness with a green tint. I'm thinking tomato plant or perhaps cucumber. White pepper, vanilla and light notes of caramel. Fresh oak. Taste: Very rich and full-bodied. Full-on pepper attack, followed by a sweet wave of fruity and sweet marshmallows. Demerara sugar and hints of maple syrup and cinnamon. Finish: Medium long finish. Not a whole lot more going on, it just lands safely. Hints of grass and mint in the end. Comments: A rock solid bourbon.